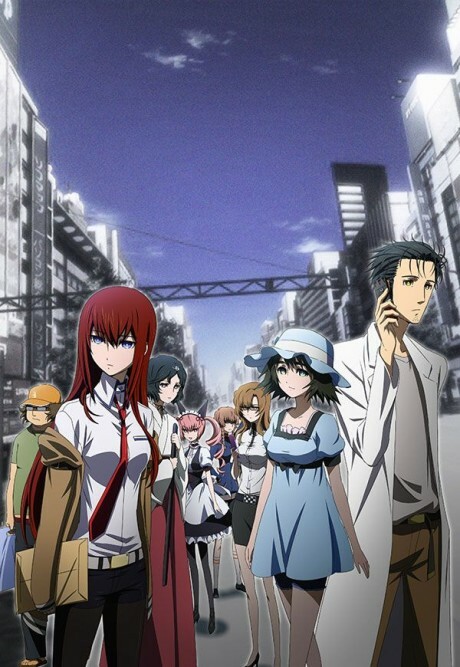 Self-proclaimed mad scientist Okabe Rintarou lives in a small room in Akihabara, where he invents "future gadgets" with fellow lab members Mayuri Shiina, his air-headed childhood friend, and Hashida Itaru, an otaku hacker. The three pass the time by tinkering with their latest creation, a "Phone Microwave" that can be controlled through text messages. The lab members soon face a string of mysterious incidents that lead to a game-changing discovery: the Phone Microwave can send emails to the past and thus alter history. Adapted from the critically acclaimed visual novel by 5pb. and Nitroplus, Steins;Gate takes Okabe to the depths of scientific theory and human despair as he faces the dire consequences of changing the past. Steins;Gate, one of the best shows to this day. Slow, but necessary start to create the masterpiece that Steins;Gate is.